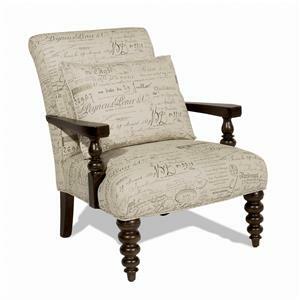 This chair looks so prim and proper that your grandma would approve- but that doesn't mean that you can't love it, too. 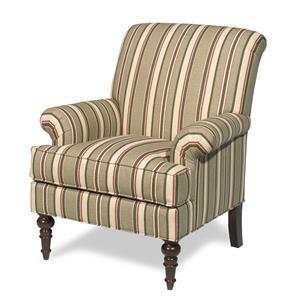 A clean and chic take on traditional fashion, this skirted chair boasts a sleek, modified wing back and rolled arms with welt trim. The seat cushion prepares you and your guests for hours of conversation with its cozy, sink-in combo of durable foam and plush, blended down. 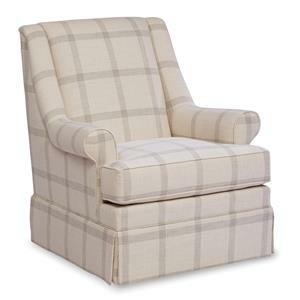 Chair available as stationary, swivel chair, or glider rocker. 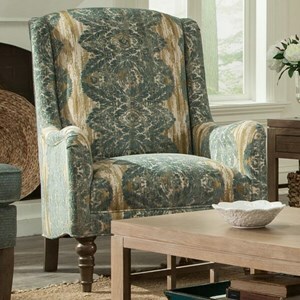 The Southern home is one of comfort and refinement, perfectly illustrated by this beautifully tailored settee. 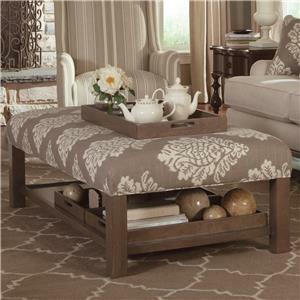 Gather the family and friends for tea and a laid-back conversation snuggled up on this living room accent piece. 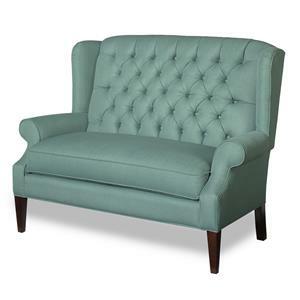 The carefully-crafted piece features a gorgeous combination of traditional and modern decor accents, including plush cushions with button tufting, tall, tapered legs, and modified wings that gently transform into low, rolled arms. 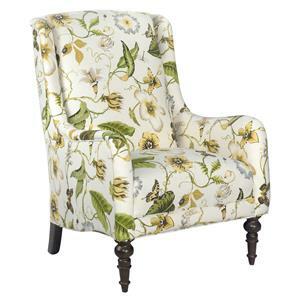 The Southern home is one of comfort and refinement, perfectly illustrated by this beautifully tailored armchair. 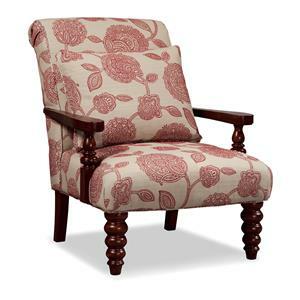 The carefully-crafted piece features time-honored decor features in the traditional mold, like elegantly curved English arms and delicately turned wood legs. 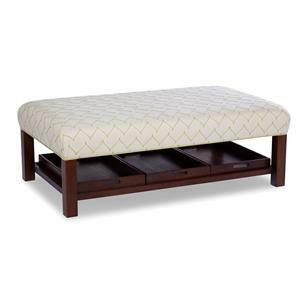 A stable structure made from thick, laminate hardwoods guarantee this piece will catch eyes in your home for years to come. 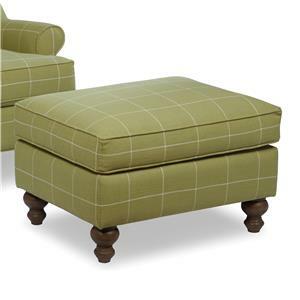 A clean and chic take on traditional fashion, this ottoman boasts clean, boxed cushions with welt trim. Turned wood legs complete the elegant appeal. Add the matching armchair to complete the set.